Walsall Football Club have today confirmed that winger Anthony Forde has rejected the club's offer of a new two-year contract and has agreed terms with Sky Bet Championship side Rotherham United. If the latest transfer speculation is to be believed, Walsall winger Anthony Forde, who is yet to agree terms on a new contract, is a transfer target of Sky Bet Championship side Rotherham United as manager Alan Stubbs looks to add to his side ahead of the 2016/17 campaign. Walsall winger Anthony Forde has spoken to the local press following Sunday afternoon's Sky Bet League 1 victory over Port Vale, which was the Saddlers' third win on the bounce, and has insisted that the recent run of form stands them in good stead for the Play-Offs. Following his brace during the Saddlers' Sky Bet League 1 victory over Port Vale, Walsall winger Anthony Forde has been named among the the Football League's season-ending 'Team of the Week'. Walsall winger Anthony Forde has spoken to club journalists as he and his teammates continue to prepare for Monday afternoon's televised Sky Bet League 1 clash with Fleetwood Town, and has discussed Saturday's clash between Burton Albion and Gillingham before praising Interim Head Coach Jon Whitney. Walsall winger Anthony Forde has spoken to club journalists ahead of Saturday's Sky Bet League 1 clash with Wigan Athletic, and has credited Head Coach Sean O'Driscoll with his recent return to form. Ahead of this weekend's Sky Bet League 1 clash between leaders Gillingham and second placed Walsall, Saddlers winger Anthony Forde sat down with club journalists to discuss his sides' start to the season, along with a quick look ahead to matchday. Walsall manager Dean Smith has once again spoken to the local press as he continues his preparations for the 2015/16 campaign, and has discussed the futures of Romaine Sawyers, Jordan Cook, Anthony Forde and James Baxendale, insisting that they all have a a huge 12 months ahead with their contracts set to expire next summer. Walsall manager Dean Smith has spoken to the club's official website ahead of this weekend's Sky Bet League 1 clash with Milton Keynes Dons, and has offered a brief injury update. Walsall Manager Dean Smith could be handed a double fitness boost ahead of the Saddlers' Sky Bet League 1 clash with Milton Keynes Dons, which takes lace at Banks's Stadium on Saturday. Walsall manager Dean Smith could be handed a major fitness boost as his side prepares for Saturday afternoon's Sky Bet League 1 clash with Bradford City. 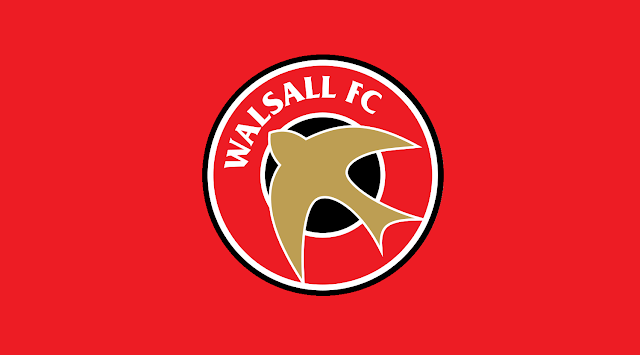 Walsall Football Club top-scorer Tom Bradshaw has been ruled out of Saturday afternoon's Sky Bet League 1 clash with Port Vale as he continues to recover from a hamstring injury.